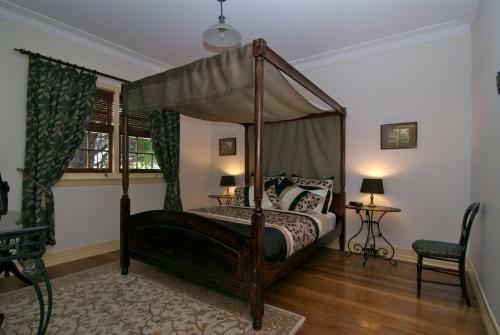 Boasting air-conditioned accommodation with a balcony, Harmony Cottage is located in Leura. This holiday home offers a garden as well as a terrace. This holiday home has 3 bedrooms, a flat-screen TV, a dining area, and a kitchen.